I found a small collection of old digest-sized science fiction magazines in a thrift shop last summer and I finally took a serious look at them this past weekend. 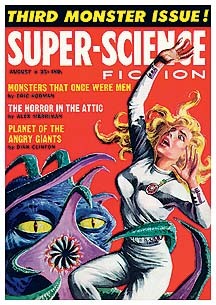 The first magazine I picked up was the August 1959 issue of Super-Science Fiction. 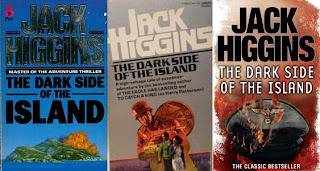 It included eight stories with beautifully lurid titles—“Planet of the Angry Giants,” “Monsters That Once Were Men,” “Man-Hunting Robot,” “Which Was the Monster”. And even better, the magazine is subtitled: THIRD MONSTER ISSUE! Of the eight stories included, an even half were written by Robert Silverberg and published here under various pseudonyms, and another, which is the one that caught my immediate attention, was written by Donald E. Westlake and published as by Richard Stark. The Stark story is titled, “Birth of a Monster”. It is the story of a doctor who receives a late night call from a man whose wife is in labor and, even though the soon-to-be mother isn’t a patient, the doctor agrees to rush to the couple’s home and deliver the baby. When the doctor arrives he discovers something a little unusual. “Birth of a Monster” reminded me a little of an early Richard Matheson story, although not quite as vibrant and polished—it appears to be straight forward, but a little twist at the climax reveals the true complexion of the story. And while it is not as mature and solid as Mr Westlake’s later work (he was only 26 when it was published) it is a story that will bring a smile. 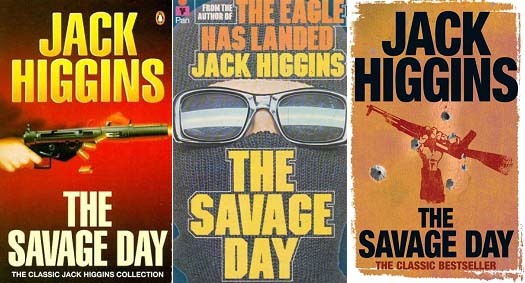 In 1975 a midlist writer thundered onto the worldwide bestseller lists with a World War 2 adventure thriller titled The Eagle Has Landed. It was published as by Jack Higgins, but the writer was a former college lecturer named Harry Patterson. Mr Patterson was a veteran writer in 1975; he had already published 34 novels and his work was becoming both more accomplished and more successful. Mr Patterson’s work can be broken into three easily identifiable segments, (i), his pre-The Eagle Has Landed work (1959 – 1974), (ii) The Eagle Has Landed to The Eagle Has Flown (1975 – 1991), and (iii) Eye of the Storm to his most recent novel A Devil is Waiting (1992 – 2012). Mr Patterson’s pre-The Eagle Has Landed work tended to be lean, deftly plotted, and very linear suspense novels. I think of this era as his golden age. 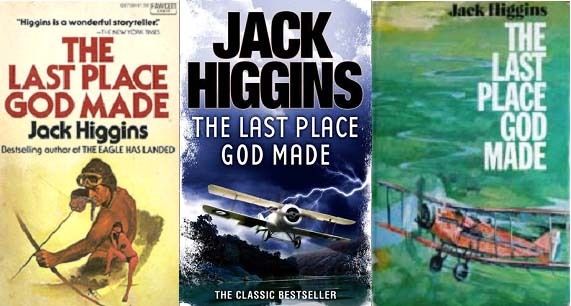 It includes a bevy of truly excellent adventure novels, The Savage Day, A Prayer for the Dying, and The Last Place God Made, which are, by my reckoning his three best novels. The next period is his bestseller period. Mr Patterson hit it big with The Eagle Has Landed, and while he wrote several very successful novels he could never quite get out from under the shadow of his “big” bestseller. The most recent, and final, period is the Sean Dillon era. 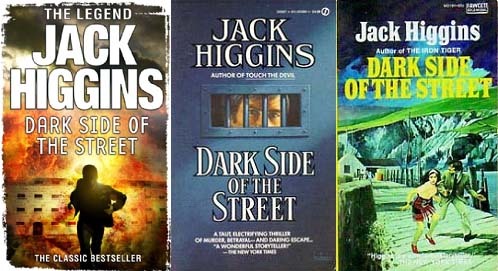 He introduced an antagonist in his 1992 novel Eye of the Storm, which in Mr Patterson’s subsequent work became a protagonist. 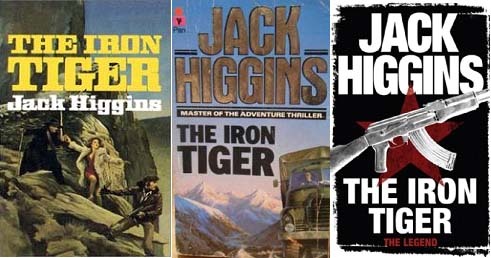 The Dillon novels are the weakest of Harry Patterson’s canon, but there are several, which are really quite good. 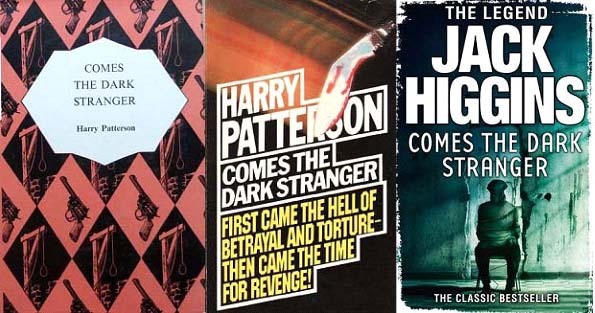 The following is a chronological listing of Harry Patterson’s golden age books. It includes work published by multiple publishing houses and pseudonyms. 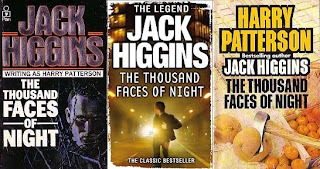 Many of Mr Patterson’s early work disappeared without a trace when it was first released, but most of it, with only two exceptions, are easily obtained today. I listed the original United Kingdom and U. S. publisher for each title, but most of the books have been published in multiple editions, and all have been republished under Harry Patterson’s primary pseudonym Jack Higgins. Sad Wind from the Sea. Published by John Long in 1959. It was originally issued as a hardcover as Harry Patterson. It was not printed in the United States until 2010 when it was issued as an ebook and a POD trade paperback by Open Road Integrated Media. Read the Gravetapping review. Cry of the Hunter. Published by John Long in 1960. It was originally issued as a hardcover as Harry Patterson. It was not printed in the United States until 2010 when it was issued as an ebook and POD trade paperback by Open Road Integrated Media. Read the Gravetapping review. The Thousand Faces of Night. Published by John Long in 1961. It was originally issued as a hardcover as Harry Patterson. It was not published in the United States until 2010 when it was issued as an ebook and a POD trade paperback by Open Road Integrated Media. Read the Gravetapping review. Comes the Dark Stranger. Published by John Long in 1962. It was originally issued as a hardcover as Harry Patterson. 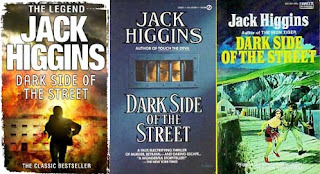 It was not published in the United States until 2010 when it was issued as an ebook and a POD trade paperback by Open Road Integrated Media. Read the Gravetapping review. Hell is Too Crowded. Published by John Long in 1962. It was originally issued as a hardcover as Harry Patterson. It was issued in the United States in 1978 as a paperback original by Fawcett Gold Medal. Read the Gravetapping review. The Testament of Casper Schultz. Published by Abelard-Schuman in 1962. It was originally issued as a hardcover as by Martin Fallon. It was published in the United States as a paperback original in 1978 by Fawcett Gold Medal. This is the first novel (of six) to feature Paul Chavasse. It was reissued in 2006 as The Bormann Testament; the new edition included a brief introduction explaining the “testament’ was originally Martin Bormann’s, but due to potential legal issues the publisher requested the title change, and the references to Martin Bormann be removed. Read the Gravetapping review. 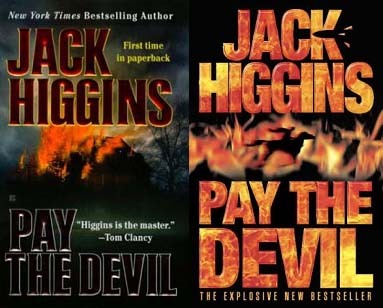 Pay the Devil. Published by Barrie Rockcliff in 1963. It was originally issued as a hardcover as Harry Patterson. It was published in the United States in 1999 as a paperback original by Berkley. Read the Gravetapping review. The Dark Side of the Island. Published by John Long in 1964. It was originally issued as hardcover as Harry Patterson. It was published in the United States in 1977 as a paperback original by Fawcett Gold Medal. Read the Gravetapping review. Seven Pillars to Hell. Published by Abelard-Schuman in 1963. It was originally issued as a hardcover as by Hugh Marlowe. 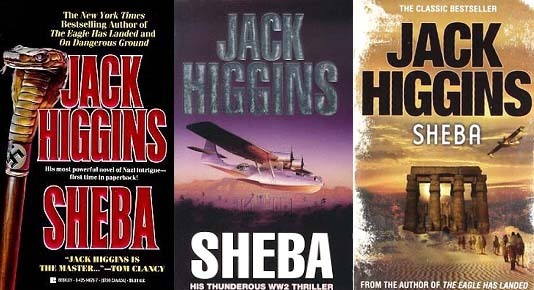 It was published in the United States in 1994 as a paperback original with the title Sheba by Berkley. Read the Gravetapping review. A Phoenix in the Blood. Published by Barrie Rockcliff in 1964. It was originally issued as a hardcover as Harry Patterson. It has never been released in the United States. Read the Gravetapping review. Thunder at Noon. Published by John Long in 1964. It was originally issued as a hardcover as Harry Patterson. It has never been released in the United States. 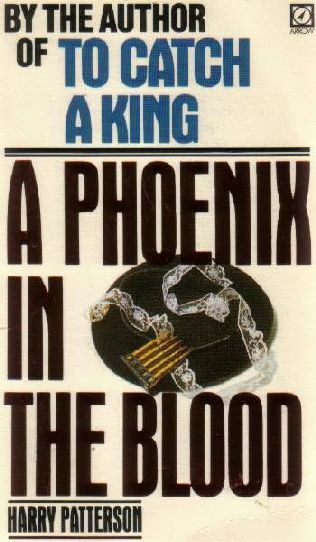 This title was rewritten and published in both the United Kingdom and the U. S. as Dillinger in 1983. 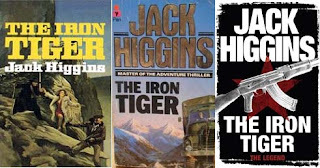 Dillinger was published by Hutchinson in the U. K. and Stein & Day in the U. S. as Harry Patterson. Read the Gravetapping review. Wrath of the Lion. Published by John Long in 1964. It was originally issued as a hardcover as Harry Patterson. It was published in the United States in 1977 as a paperback original by Fawcett Gold Medal. Read the Gravetapping review. Year of the Tiger. Published by Abelard-Schuman in 1964. It was originally issued as a hardcover as by Martin Fallon. 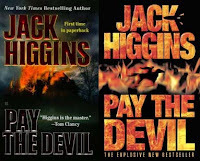 It was rewritten and issued in the United States in 1996 as a paperback original by Berkley. It is the second novel (of six) to feature Paul Chavasse. Read the Gravetapping review. Passage by Night. Published by Abelard-Schuman in 1964. It was originally issued as a hardcover as by Hugh Marlowe. It was issued in the United States in 1966 as a paperback original by Avon. Read the Gravetapping review. The Graveyard Shift. Published by John Long in 1965. It was originally issued as a hardcover as Harry Patterson. It was issued in the United States in 2002 as a paperback original by Berkley. This is the first novel (of three) to feature Nick Miller. Read the Gravetapping review. The Keys of Hell. Published by Abelard-Schuman in 1965. It was originally issued as a hardcover as by Martin Fallon. It was issued in the United States as a paperback original in 1976 by Fawcett Gold Medal. It was rewritten and reissued in 2002 by Berkley. This is the third novel (of six) to feature Paul Chavasse. Read the Gravetapping review. The Iron Tiger. Published by John Long in 1966. It was originally issued as a hardcover as Harry Patterson. It was released in the United States as a paperback original in 1979 by Fawcett Gold Medal. Read the Gravetapping review. Midnight Never Comes. Published by John Long in 1965. It was originally issued as a hardcover as by Martin Fallon. It was issued in the United States as a paperback original in 1975 by Fawcett Gold Medal. This is the fourth novel (of six) to feature Paul Chavasse. This was extensively rewritten and published as On Dangerous Ground in 1994; Sean Dillon replaces Paul Chavasse. Read the Gravetapping review. A Candle for the Dead. Published by Abelard-Schuman in 1966. It was originally issued as a hardcover as by Hugh Marlowe. It was not printed in the United States until 2010 when it was issued as an ebook and a POD trade paperback by Open Road Integrated Media. It was adapted as a film titled The Violent Enemy released in 1967. The novel was retitled as The Violent Enemy and reissued as a paperback in the U. K. by Coronet in 1969. Read the Gravetapping review. Brought in Dead. Published by John Long in 1967. It was originally issued as a hardcover as Harry Patterson. It was issued in the United States in 2004 as a paperback original by Berkley. This is the second novel (of three) to feature Nick Miller. Read the Gravetapping review. Dark Side of the Street. Published by John Long in 1967. It was originally issued as a hardcover as by Martin Fallon. It was issued in the United States in 1974 as a paperback original by Fawcett Gold Medal. This is the fifth novel (of six) to feature Paul Chavasse. Read the Gravetapping review. East of Desolation. Published by Hodder & Stoughton in 1968. 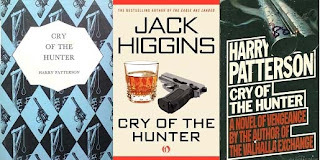 It was originally published as a hardcover as by Jack Higgins. It was released in the United States as a hardcover by Doubleday in 1969. 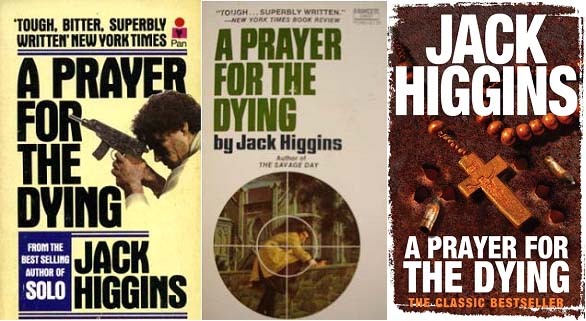 This is the first use of the Jack Higgins pseudonym, and the first title published in the U. S. in hardcover. Read the Gravetapping review. Hell is Always Today. Published by John Long in 1968. It was originally published as a hardcover as Harry Patterson. It was issued in the United States in 2005 as a paperback original by Berkley. This is the third novel (of three) featuring Nick Miller. In the Hour Before Midnight. Published by Hodder & Stoughton in 1969. It was issued as a hardcover as by Jack Higgins. It was released in the United States as a paperback original by Lancer Books as The Sicilian Heritage in 1970. Lancer later released an edition with its original title. A Fine Night for Dying. Published by John Long in 1969. It was issued as a hardcover as by Martin Fallon. It was released in the United States in 2007 as a paperback original by Berkley. This is the sixth novel (of six) to feature Paul Chavasse. Night Judgment at Sinos. 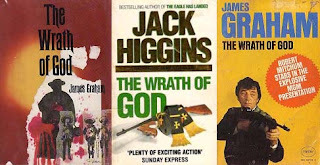 Published by Hodder & Stoughton in 1970. 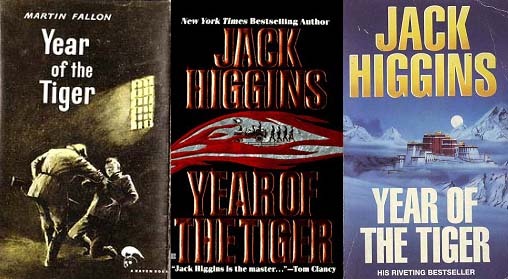 It was issued as a hardcover as by Jack Higgins. It was released in the United States as a hardcover by Doubleday in 1971. A Game for Heroes. 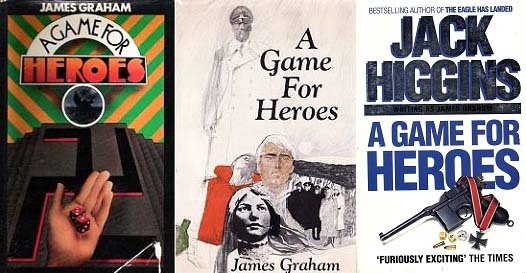 Published by Macmillan in 1970. 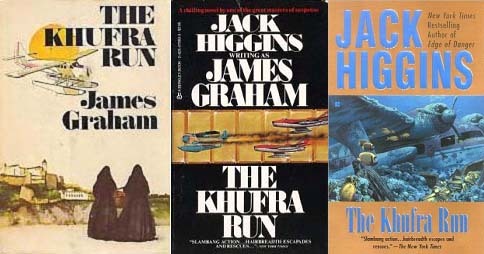 It was issued as a hardcover as by James Graham. It was released in the United States as a hardcover by Doubleday in 1970. 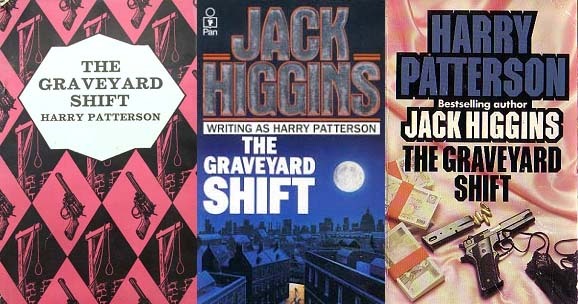 This is the first novel (of four) released under the James Graham pseudonym; interestingly Mr Patterson was a lecturer at James Graham College between 1968 and 1970. The Last Place God Made. Published by Collins in 1971. 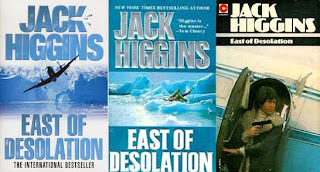 It was issued as a hardcover as by Jack Higgins. It was released in the United States in 1971 as a hardcover by Holt. Toll for the Brave. Published by John Long in 1971. It was issued as a hardcover as Harry Patterson. It was released in the United States in 1976 as a paperback original by Fawcett Gold Medal. This is the final novel Mr Patterson published with his long time publisher John Long. The Wrath of God. Published by MacMillan in 1971. It was issued as a hardcover as by James Graham. It was released in the United States in 1971 as a hardcover by Doubleday. This is the second novel (of four) released under the James Graham pseudonym. It was adapted as a film released in 1972. The Khufra Run. Published by MacMillan in 1972. It was issued as a hardcover as by James Graham. It was released in the United States in 1973 as a hardcover by Doubleday. 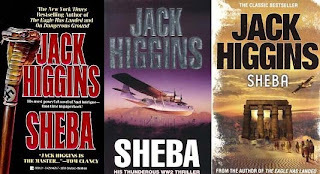 This is the third novel (of four) released under the James Graham Pseudonym. 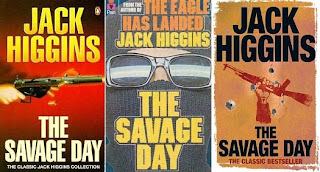 The Savage Day. 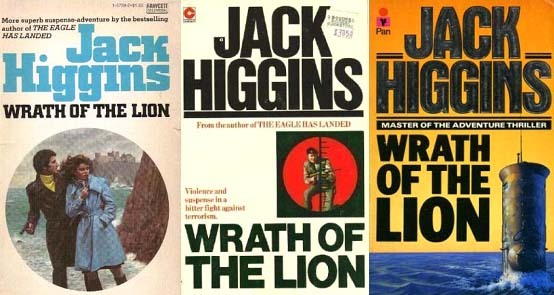 Published by Collins in 1972. 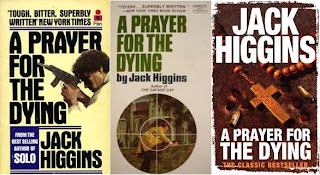 It was issued as a hardcover as by Jack Higgins. It was released in the United States in 1972 as a hardcover by Holt. A Prayer for the Dying. 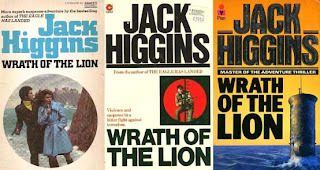 Published by Collins in 1973. 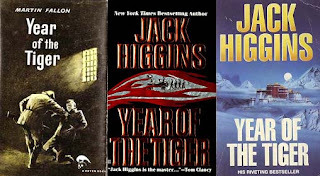 It was issued as a hardcover as by Jack Higgins. It was released in the United States in 1974 as a hardcover by Holt. It was adapted as a film released in 1987. The Run to Morning. The U. K. title is Bloody Passage. Published by MacMillan in 1974. It was issued as a hardcover as by James Graham. It was released in the United States in 1974 as a hardcover by Stein & Day. It was reprinted with the title Bloody Passage in the United States by Open Road Integrated Media. 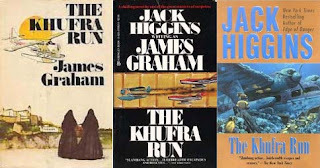 This is the fourth novel (of four) released under the James Graham pseudonym. The novel opens with Dev Conrad driving from his Chicago office to Senator Logan’s rural upstate cabin. The senator telephoned Dev with some unidentified trouble, and Conrad, in a state of confusion and dread, is on his way to help. The trouble is a beautiful women lying dead in a pool of her own blood on the porch of Senator Logan’s cabin. The senator has a history with the woman. She was seen at several of his campaign events in recent weeks, and the senator admits to everything but sleeping with her. The election is a few weeks away, and the story captures the 24 hour cable news cycle, and one of the networks is aligning Senator Logan with the devil. Conrad quickly retains Ben Zuckerman, a top-notch Chicago criminal lawyer, but Logan is holding something back. Conrad doesn’t know what, or why, Logan isn’t forthcoming, but he is certain Logan didn’t kill the woman. The cast of characters includes Senator Logan’s strong daughter, delicate wife, and manipulative brother. A less than ethical operative from the other side, a beautiful local attorney, a detective, and a somewhat disconcerting federal investigator. 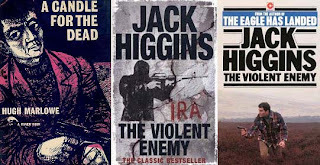 It is a dark story, almost cynical, without Mr Gorman’s usual wary hope. It casts the political system in a stark, and corrupt light. Dev Conrad compares current elected pols with the openly corrupt senators of the late 1800s, which were referred to by the industry each represented rather than their respective home states. The mystery is top-notch. The murderer isn’t revealed until the final pages, and I was genuinely surprised, but Flashpoint is more than a mystery. It is social commentary on the state of the current American political environment from popular sentiment to its elected officials. It takes a whack at the news media, specifically the cable news networks, and the hatred and misinformation disseminated by certain fringe elements, which have garnered mainstream credentials in recent years. 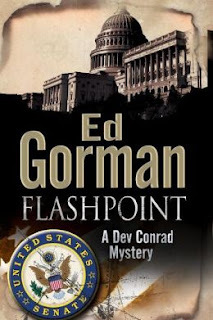 Flashpoint is a serious and stark novel; however it is told with a wry sense of humor. There are a handful of lines, which made me laugh aloud, and more than a few places where I smiled. 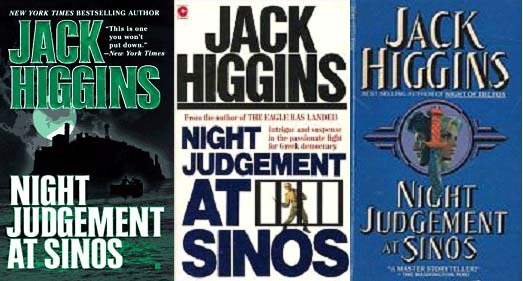 Not to mention it isn’t every novel that can make mention of Thomas Eagleton, communists, George W. Bush, conspiracy, and The Manchurian Candidate without devolving into something less than it is. And what it is, is a very fine novel, but be warned Dev Conrad’s cynicism is catching. 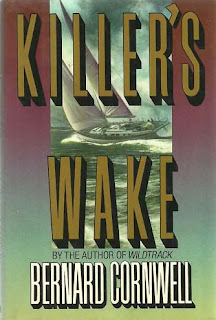 I recently reread Mr Cornwell’s 1989 novel Killer’s Wake—published as Sea Lord in the United Kingdom—and I enjoyed it as much the second time as the first. John Rossendale, the 28th Earl of Stowey, is a vagabond sailor who is called home for his mother’s impending death. He left England four years earlier on his sailing yacht Sunflower, and vowed never to return. He left under a cloud—he was accused of stealing a Van Gogh painting from his family trust, and while no one could prove his guilt, everyone is certain of it. Upon his arrival in England his boat is immediately broken in to, he is approached by a millionaire tycoon who wants to purchase the Van Gogh with no questions asked, he is assaulted by a pair of hired toughs, and his twin sister accuses him outright, and very nastily, of stealing the Van Gogh. Rossendale doesn’t want to be in England, and by appearances England doesn’t want Rossendale. The mystery is competently executed, but it is the pure adventure of the story, which makes it as entertaining and enjoyable as it is. 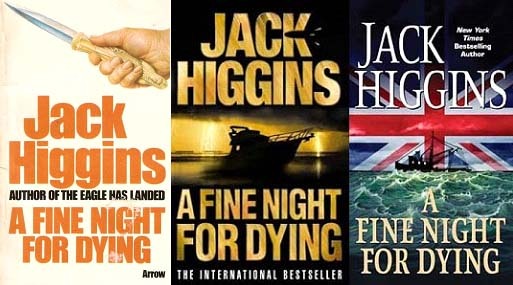 If you enjoy the older style suspense novels. The sort where the hero doesn’t save the world, but rather only saves his world. 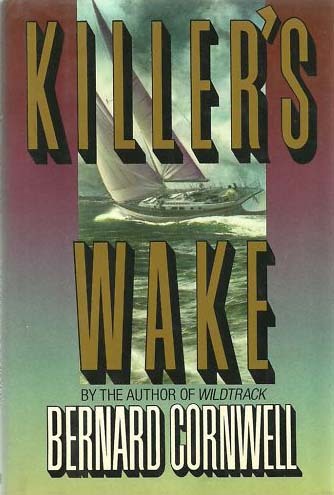 The sort Desmond Bagley, Alistair MacLean, Gavin Lyall, and even an early Jack Higgins, wrote you will really enjoy Killer’s Wake. It is a throwback, even for something written and published in the late 1980s, and it is a damn good throwback. 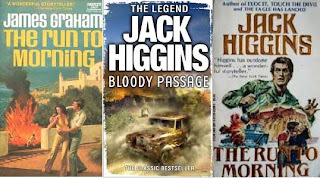 A few months ago I purchased a large lot of original mass market Hard Case Crime novels online. The lot included a bunch of titles I missed when they were issued and I have been slowly making my way down the stack. I recently read Killing Castro by Lawrence Block, and while it wasn’t what I expected, it certainly wasn’t a disappointment. The story centers around five American men who are hired to kill Fidel Castro. The plan is to split the men up to take multiple attempts on Castro’s life. The novel opens in Ybor City, Florida—Tampa’s Latin district—where the men are brought together for a briefing; each is promised $20,000 if Fidel Castro is killed. The novel spends time in the perspective of each of the men, including back stories, and motivating factors. The men range from outright criminals to anti-Castro zealots to adventure seekers. The story is told in a nonlinear fashion, and there is much less action than expected. Instead it builds more as a character piece (in a very genre manner), focusing on each of the assassins and their reasons for taking the job. 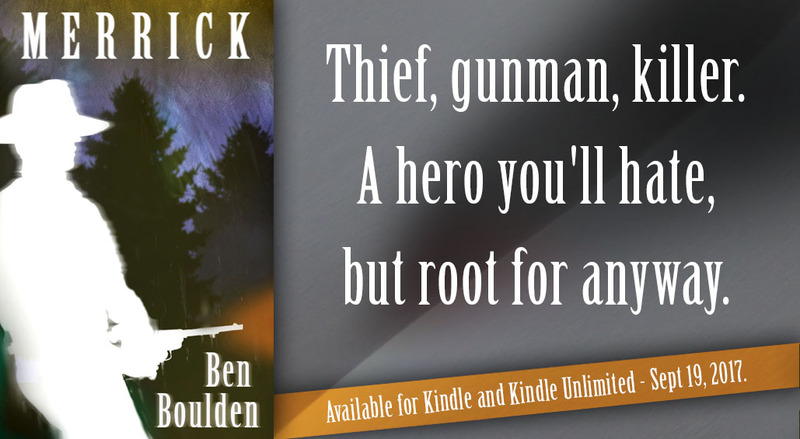 One is a dying bank clerk, another is running from the law, and another is avenging the murder of his brother. The novel is divided into 11 chapters, and every other one is devoted to Castro’s rise to power. The segments documenting Castro’s political ascendency are seemingly accurate, and Mr Block takes some effort to explain the psychology of political dissidence, revolution and power. The novel has an atmosphere of weariness. A weariness of this is how the world has always worked, and this is how it always will work. Castro could be exchanged for a thousand different tyrants and nothing would change. It is a precursor for the atmosphere and tone of the novel, but it is misleading because it sets the stage for a very straight forward 1960s suspense novel, which it isn’t, exactly. 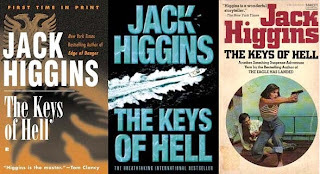 What it is, is a very good, and very entertaining story, with just enough action and suspense to keep it interesting, and a bevy of detail about Cuba in the middle Twentieth Century. 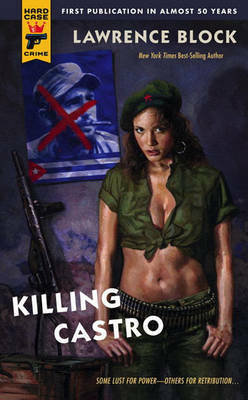 Killing Castro was published in 1961 with the title Fidel Castro Assassinated as by Lee Duncan. A nom de plume Mr Block used only once. I haven’t read much Graham Greene, but the few novels I have read—generally with years in between—I have enjoyed. And with every novel I read, without fail, I wonder why I don’t read more of his work. I recently read his Vietnam novel, The Quiet American. 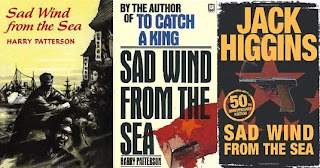 It was originally published in 1955 and it literarily documents, through the actions of a young American agent, the seeds of the United States’ entry, as combatants, into Vietnam. The Quiet American is told in first person by an aging British newspaper journalist named Thomas Fowler. The novel’s opening scene has the arrival of a French policeman with news of the murder of one of Fowler’s friends. A young American named Alden Pyle. Pyle worked for the U. S. Economic Aid Mission in Saigon. He is an idealist who believes it is both possible the U. S. can foster democracy in Vietnam. 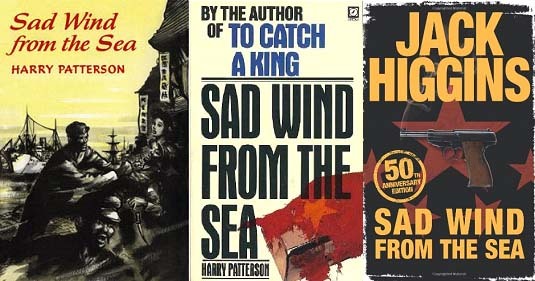 Pyle’s knowledge of Vietnam is based on the work of a journalist named York Harding who has written several works about communism in Asia. 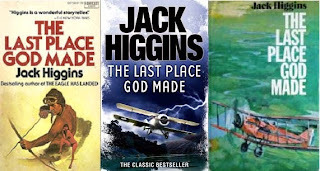 Harding wrote of a “Third Force”—something like the partisans in Nazi-occupied Europe in World War Two—that could rally the people into a popular rising for democracy. The only problem, Vietnam is not Europe and the world is never as simple as we would like it. The Quiet American is a prescient novel. 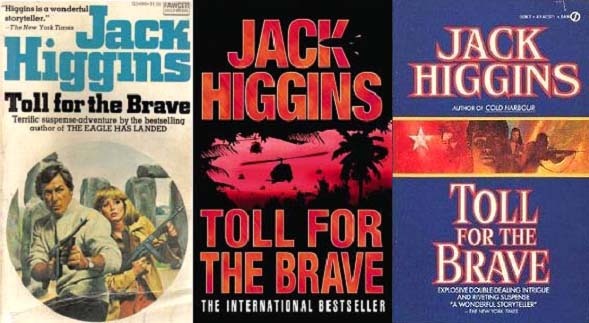 It was published 10 years prior to the first major U. S. battle in Vietnam, Ia Drang, but it deftly and accurately defines many of the problems the United States faced in Vietnam. It explores the gung-ho naïveté with which the U. S. Government entered the country. It foretells the debacle U. S. intelligence services would create with their secret wars and covert operations. But the most interesting is its view of America and Americans as innocents unfamiliar with the world beyond its own borders. 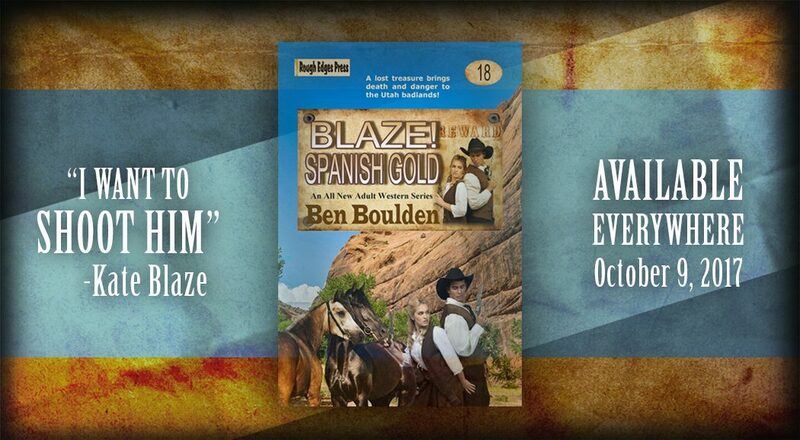 It is rich with both historical perspective and its contemporary world. The author obviously loved Vietnam; it is painted with a tapestry of vivid description and loving detail. 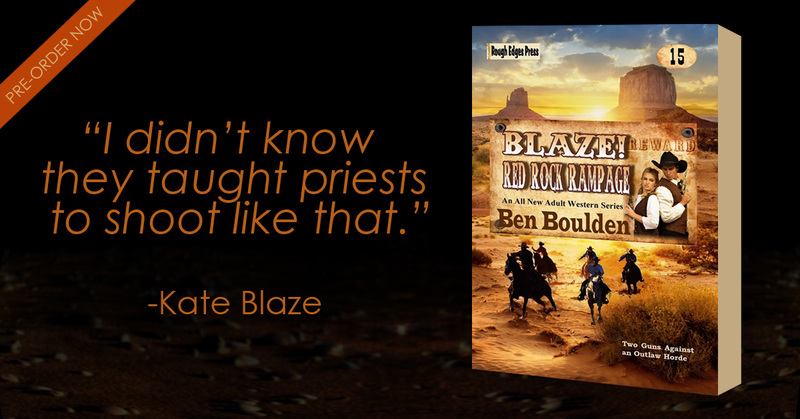 It is a literary thriller—in the best sense of that term. It is a story first, but Graham Greene expertly weaves ideas, characters and truths into the narrative in a manner that they become an intricate and necessary part of the story. 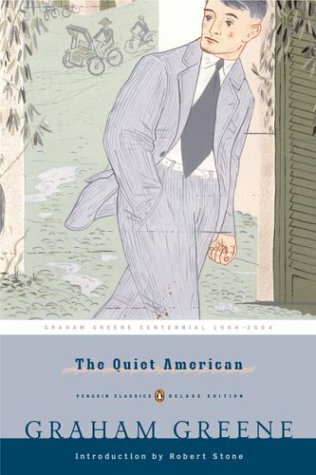 The Quiet American is also a metaphor for the end of the British Empire and the rise of America as a superpower, and essentially an empire. Pyle is the new—he is young, strong and full of ideas and ideals. Fowler is the old—he is cynical, knowledgeable and somewhat world weary and frightened. He is scared of age, but mostly he is frightened of losing his status and potency as a man. The Quiet American is a wonderful novel. The writing is smooth with a certain antiseptic feel—the reader views the events very much as a spectator, but the performance is so compelling it envelopes the reader with its dark and cynical view of how things are. Its view of America is rough, but it is done in a way that is forgiving and understanding; almost as a parent disapproving the actions of a child. The Quiet American is the best Vietnam novel I have read. It is appealing as both a suspense novel and literature. Its themes are as relevant today as they were in the 1950s and the story (the plotting, the description and setting) is brilliantly executed. If you haven’t read this novel you should. After Thought. The Quiet American has been translated into film two times. The first was Joseph L. Mankiewicz’s 1958 film starring Audie Murphy and Michael Redgrave as Pyle and Fowler. The second was Phillip Noyce’s 2002 version starring Michael Caine and Brendan Fraser as Fowler and Pyle. Michael Caine was nominated for an Academy Award for his performance as Thomas Fowler. I haven’t seen the original film, but the Noyce version is surprisingly good. It captures the spirit and atmosphere of the novel very well. This review originally appeared on the now defunct blog Dark City Underground August 11, 2010 in slightly different form. I will be moving a few other reviews from DCU to Gravetapping over the next several weeks. I will also be posting some original content very soon.